Background : Son of George Henry and Emma Barry, of Manchester, England. Service & personal summary At enlistment : single. 4 years previous military experience as a fitter with Royal Defence Force. Grey eyes, brown hair. Marks / scars : small scar right shoulder blade. 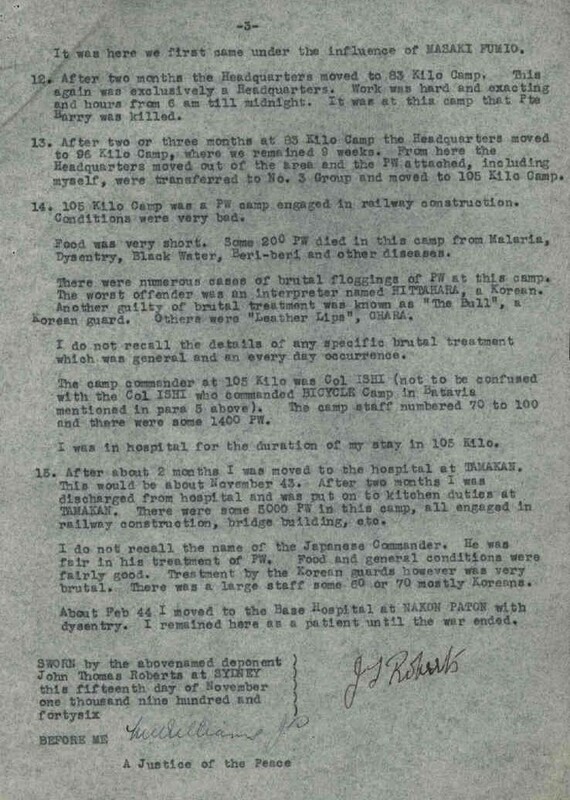 26/09/1941 Evacuated to 60 British General Hospital with sickness slight and transferred to X list. 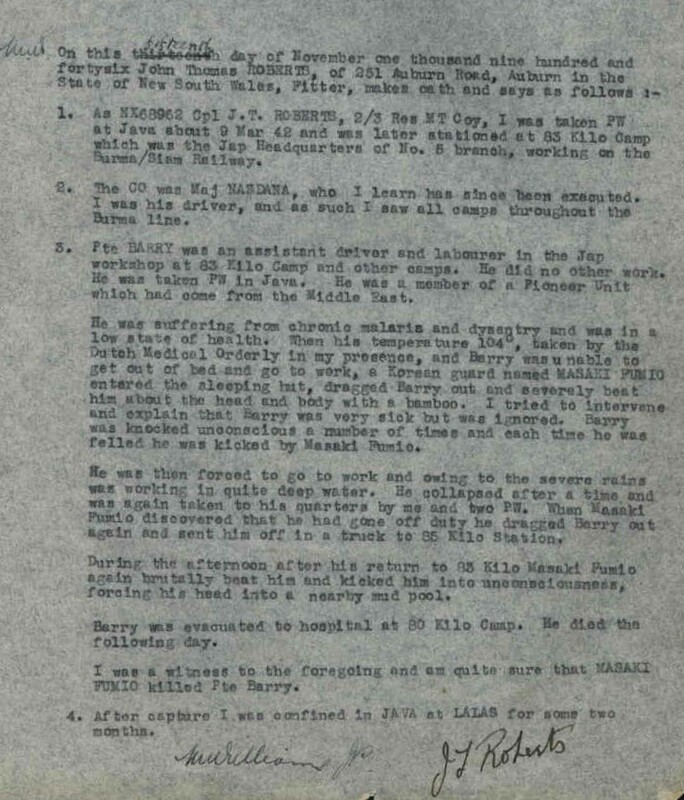 25/10/1941 Evacuated from 60 British General Hospital to 1 Australian Convalescent Depot Middle East. 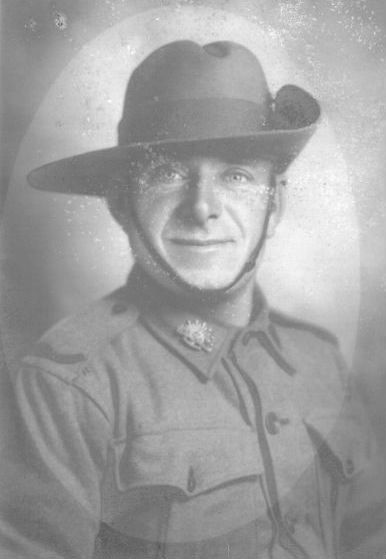 03/11/1941 Discharged 1 Australian Convalescent Depot and transferred to Pioneer Training Battalion. 03/11/1941 Marched into Pioneer Training Battalion ex 1 Australian Convalescent Depot. 26/11/1941 Marched out to 2/2 Pioneer Battalion Middle East. 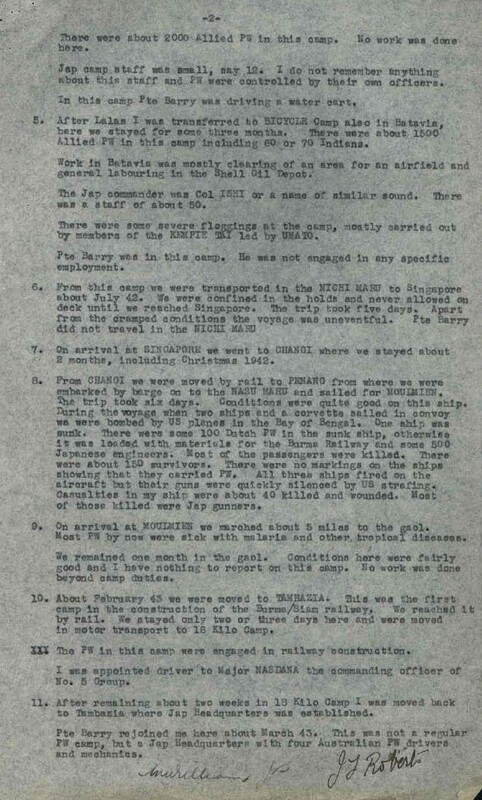 27/11/1941 Taken on strength from Pioneer Training Battalion. 26/04/1945 Believed died of illness (cerebral malaria) whilst prisoner of war Burma. 15/09/1945 Died of illness whilst prisoner of war 09/09/1943. Refer to war crimes trial of Masaki and found guilty of murder of Barry 09/09/1943 Siam.